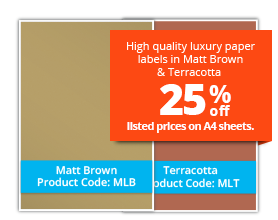 Take advantage of this opportunity to try luxury paper labels or add to stock at these great promotional prices. Available while stocks last. Excludes white ink, which if selected i.e. 6 Colour + White, is chargeable. 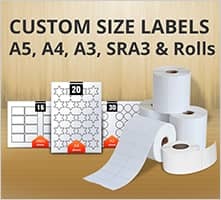 On all materials in roll and sheet format. Excludes and supersedes all other promotions for the duration. 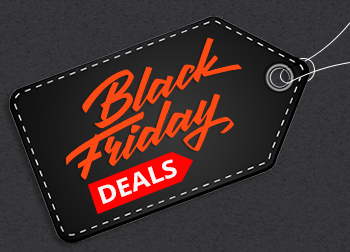 This promotional offer is only available on the first 100 orders placed via the website daily from 00:00 on Friday 24.11.17 until 24:00 Sunday 26.11.17 The offer is limited to 2 orders per customer during this period on all label materials. This offer cannot be used in conjunction with product offers currently on promotion e.g. 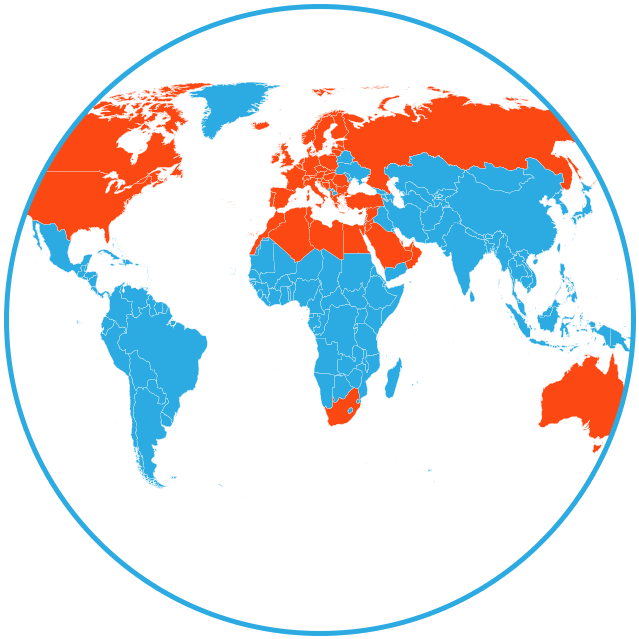 WTP10 and WPEP40 or other special offers, such as AAVCS05. All other terms and conditions remain as published. 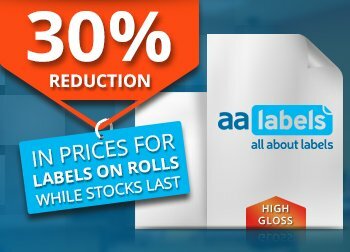 We have discounted a selection of popular label materials and colours by up to 30% representing incredible value for money and an excellent opportunity to stock-up at these prices! 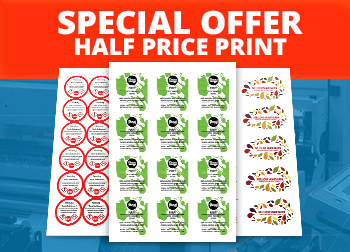 Purchase High Gloss White Paper labels on rolls and receive a 30% discount on your order. The offer available for a limited time only. 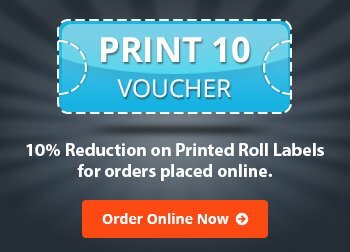 10% Reduction on Printed Roll Labels for orders placed online. 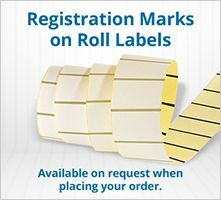 Purchase Printed Roll Labels and receive a 10% discount on your order. 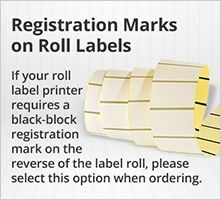 This offer is for Printed Labels on Rolls only and will be applied automatically at checkout. 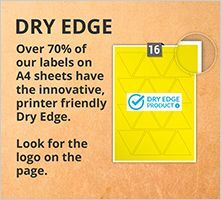 If you use printed labels on A4 sheets you can now order at a greatly reduced price, so if you need to reorder or stock-up your printed labels, now is a great time to buy. This promotional offer is only available on the first 100 online orders placed via the website daily from 00:00 on Friday 25.11.16 until 24:00 Sunday 27.11.16 The offer is limited to 2 orders per customer during this period. If next day delivery is selected on qualifying orders, these will be prioritised, but as part of the promotional offer we cannot guarantee a next working day delivery. Note: Products currently on offer with other promotions are not included. 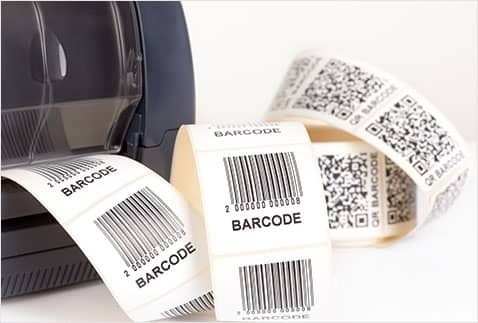 BEST TIME TO BUY WHITE LABELS! 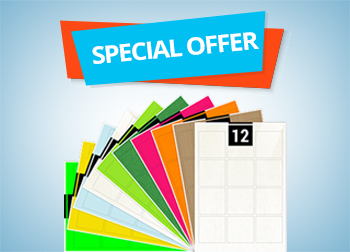 Buy 10,000 sheets or more of Matt White paper labels with permanent adhesive and receive a 15% discount. 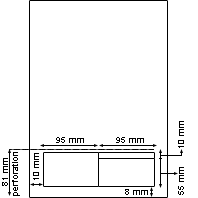 Select your label shape, size and quantity for the discount to be automatically applied at the checkout screen. Hundreds of shapes and sizes available to choose from. Valid for 90 days from date of issue. 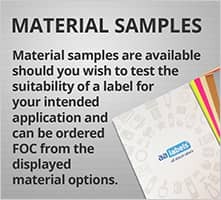 If you are a new customer having placed your first order and/or an existing customer requesting to receive our regular newsletter, you will receive a voucher to use when placing your next order entitling you to a 10% discount on the order value. When you next visit the website the voucher will automatically appear and you can click on the voucher code displayed and apply this to your order on the checkout screen. The above listed special offers represent our current promotions which are regularly updated and changed. To take advantage of these offers please follow the instructions provided when placing your orders. If you have any question then our Customer Care are happy to help and can be contacted on the number displayed below.